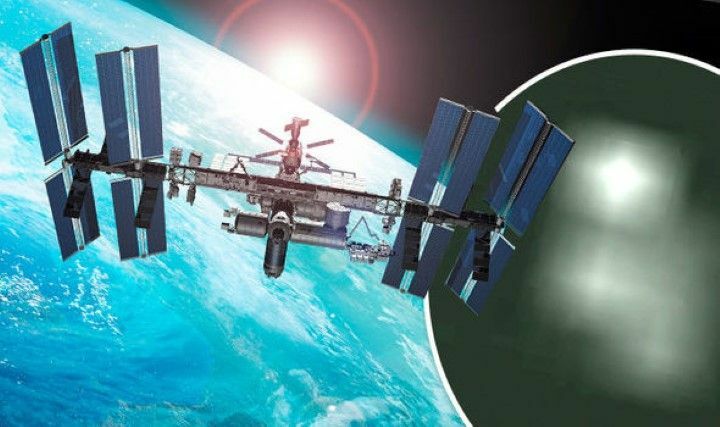 UFO seekers are riled up over another alleged instance of NASA cutting their live transmission to keep the “existence of aliens a secret” which has surfaced online via a video claiming to show UFOs blasting out of Earth’s atmosphere. According to Sunday Express, the live transmission was coming from the International Space Station when three UFOs slowly come into view (blurred, of course) and then fly out of the Earth’s atmosphere. The lights leave Earth seconds before the live video feed is allegedly cut by NASA due to a reported “loss of signal”. Clapway reports that the three UFOs gradually move in what appears to be an ascending path. Then two of the UFOs disappear and when NASA cuts the live feed, the third UFO is still in view. The next thing you see is “Please Stand By” on the screen. Of course, the better explanation is that the YouTube video has been doctored, or the unexplained objects are simply a trick of light, or it’s a camera broadcasting anomaly experienced moments before the feed went down. But that’s not what most viewers who saw the YouTube clip are saying. This is not the first time conspiracy theorists have claimed NASA has inadvertently captured extraterrestrial activity. In January 2015, UFO hunter Toby Lundh spotted what he claimed was an UFO just outside the space station as he was monitoring the live feed on his laptop. Lundh added that there are “always some UFOs showing up” and “NASA always cuts the feed when a UFO gets close to the station”. Meanwhile, a NASA photo of an alleged Martian pyramid, supposedly built by aliens, has sparked a heated debate over whether NASA, like the US government, would ever admit that aliens exist, reports Examiner. Talking about the mysterious image in the video, NASA Mars rover exploration team member Jim Bell clarified that an analysis by the Mastcam team suggests that the “pyramid” is only about four inches tall and that it is most likely a natural rock formation.